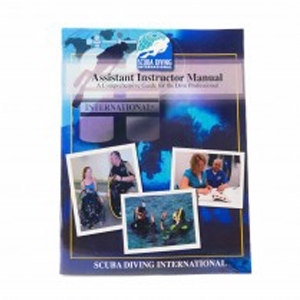 BUILDING ON THE SKILLS AND KNOWLEDGE GAINED AT DIVEMASTER LEVEL, THE SDI ASSISTANT INSTRUCTOR MANUAL SUPPORTS THE CANDIDATE IN GAINING PRACTICAL TEACHING EXPERIENCE AND LEARNING HOW TO PREPARE LESSON PLANS AND GIVE ACADEMIC PRESENTATIONS. The SDI Assistant Instructor Course is designed to build on the SDI Divemaster Program by gaining practical teaching experience, learning to prepare lesson plans, and give academic presentations. You will work with an instructor to gain experience teaching before moving on to the SDI Open Water Scuba Diver Instructor level. Once you complete the Specialty Instructor training with a qualified SDI Instructor Trainer, you can become qualified to teach several SDI Specialty Diver courses.